Looks like a beast! 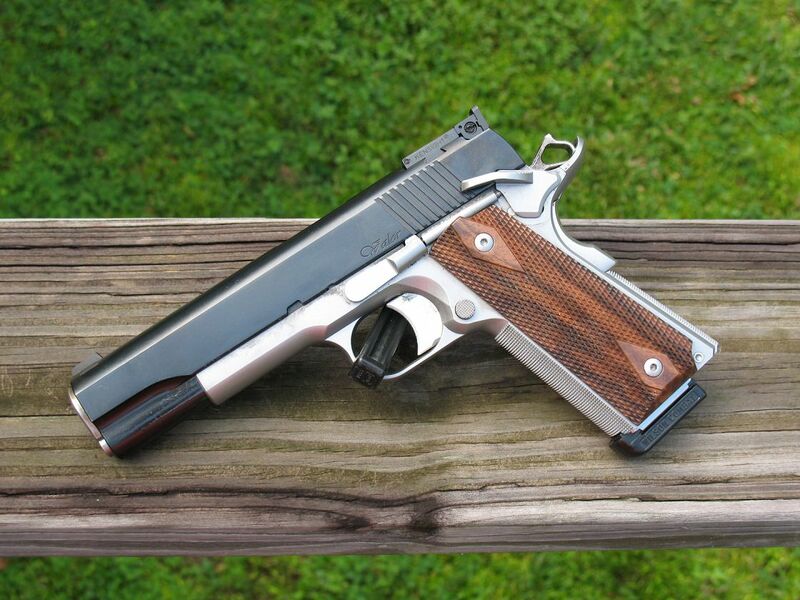 Dan Wesson makes awesome 1911’s. Looks like a very nice gun. Price seems to be in the same ballpark with my Springfield Operator 10mm. If you've never shot a 10 before, take it out with one of your 1911s in .45. Shoot a box of the 10mm first, then switch to the .45. You'll think you're shooting marshmallows. The only factory ammo I've used is Sig 180 grain FMJ, which claims 1250 fps. I believe it; this stuff is definitely not FBI-lite loads. I'm presently loading 13.5 grains AA9 under a Hornady 180 grain FMJ. I haven't chronoed yet but it seems to be about the same as the Sig load. I'll be trying out 180 grain hardcast pretty soon. If you intend to use these full power 10mm loads, I recommend checking to see if the chamber is fully supported. I can't tell from the Dan Wesson website. I just bought a box of that very ammo and I am going to do just what you said to do, only I'm gonna a load a few mags of each, the 10 and 45 and go back to back with them. Should be fun. I'm a Dan Wesson and two tone fan as well. Last edited by Bradd_D; 09-14-18 at 15:31. Wow Brad, I like that. The reverse color scheme you have is really nice too. Very nice.